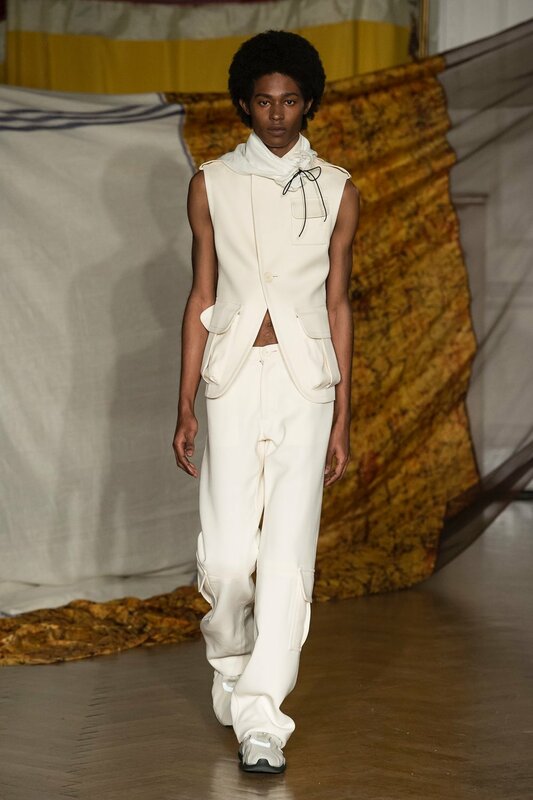 Grace Wales Bonner’s isolated sailor resurfaced on his island this LFWM with a nautical take on menswear. The AW18 collection was clean cut and confident as a mixture of neutral, cropped buttoned shirts and jackets were accompanied by smooth waterproof outerwear co-ords. 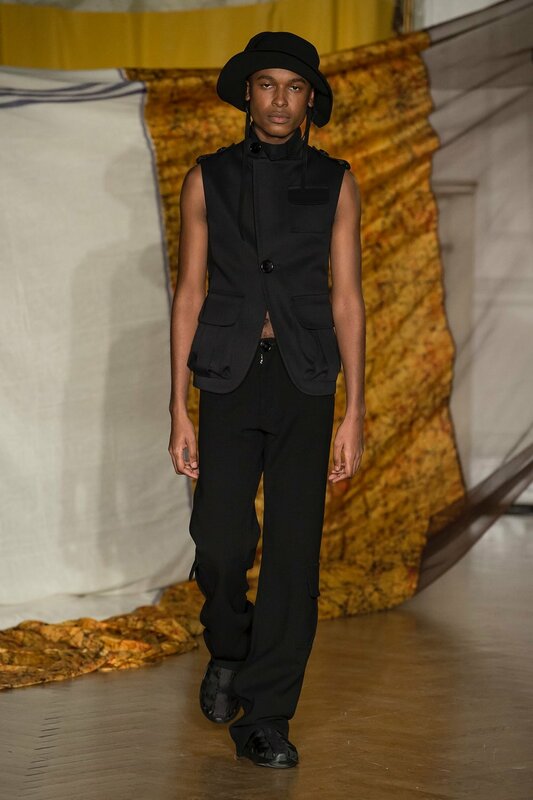 Carried down the runway by Bonner’s collective of converted sailors. Bonner’s show was a collaborative endeavour as she teamed up with Eric N Mack to erect the sail-draped installation. 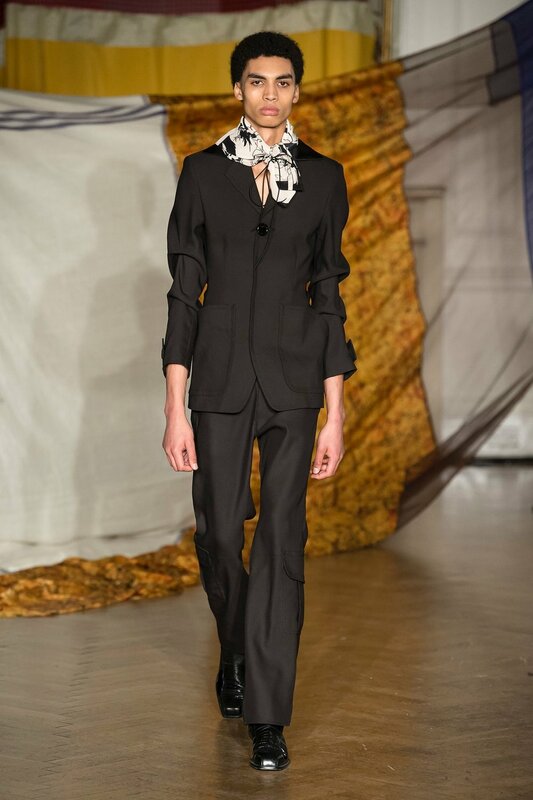 The set layout was reminiscent of her nautical themes, but also an aesthetically pleasant compliment to the fluid flow of the garments within the collection. Bonner also incorporated Jacob Lawrence’s 1941 Migration Series within her designs. 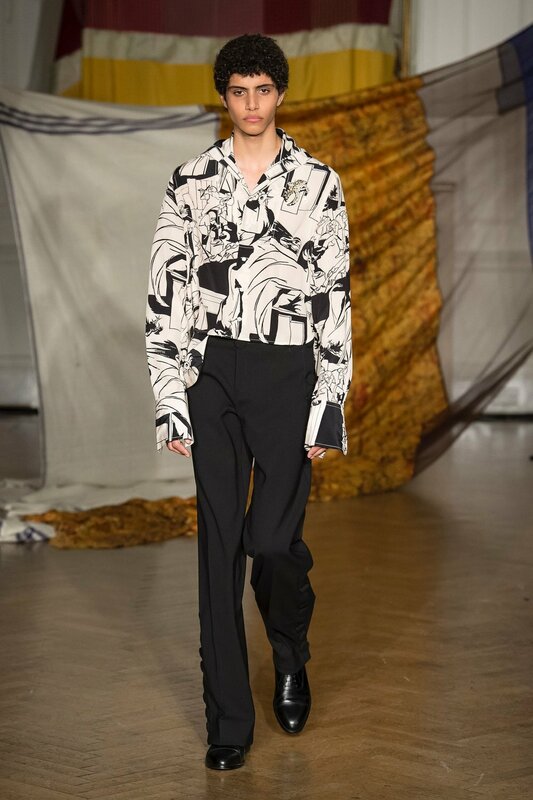 His art was found printed upon silk neck ties and soft fitting shirts, which were tucked into loosely low-slung yet flatteringly tailored trousers, adding a sprinkle of vibrancy to the otherwise monochromatic uniform. 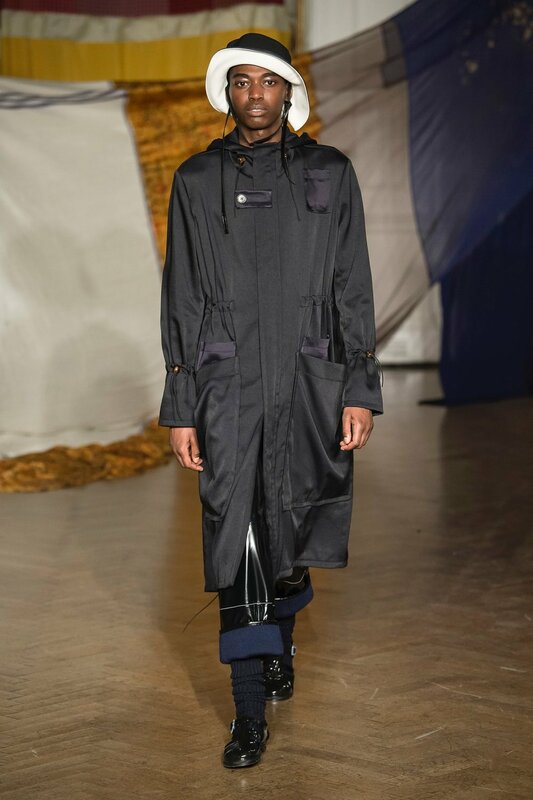 Overall Grace Wales Bonner’s AW18 collection triumphed. 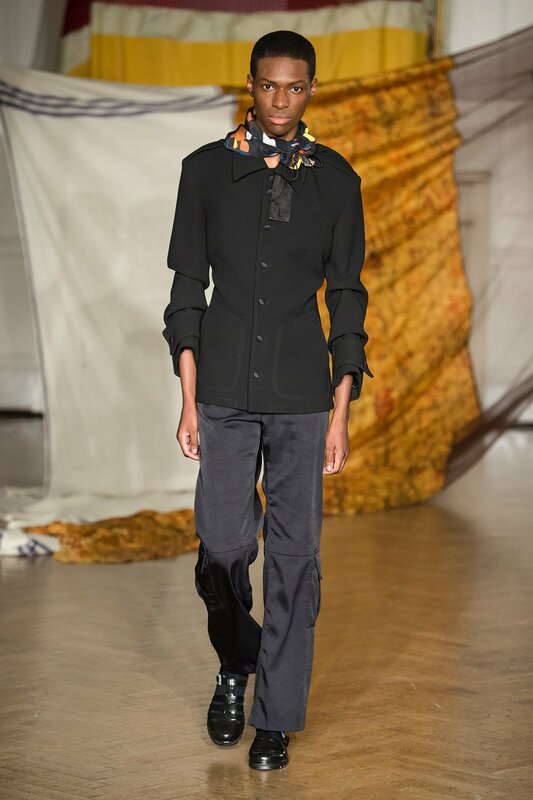 She submerged menswear unreservedly into new depths of both creative and cultural innovations, intertwining trail blazing designs with Martinican writing sentiments to start important conversations within the fashion realms in relation to black male identities. 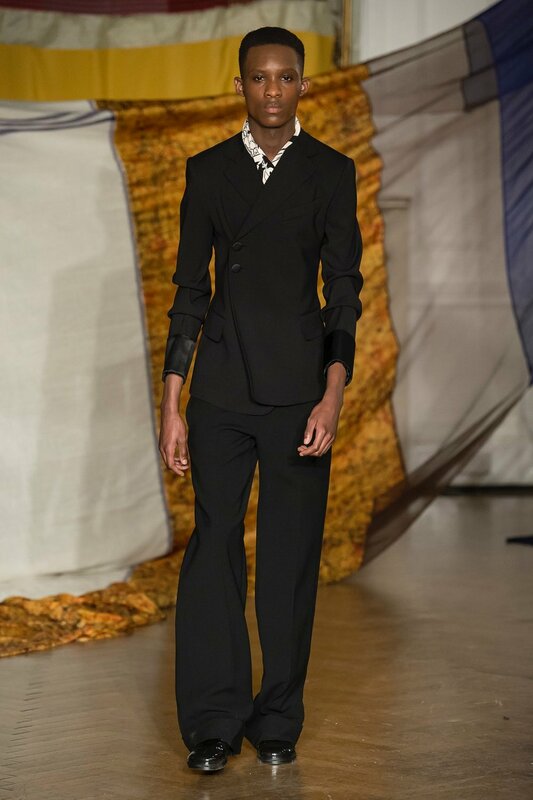 Grace Wales Bonner’s vision expands cuts and fabrics, as she crossed oceans to give soul and spirit to her collection.